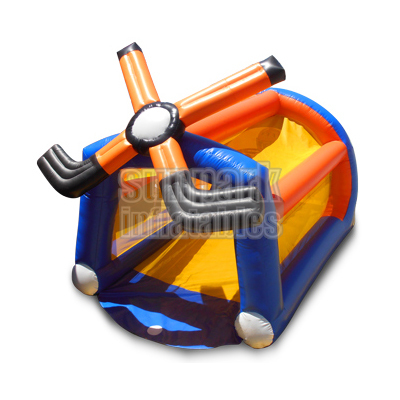 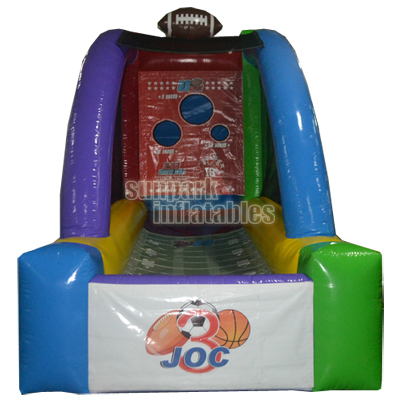 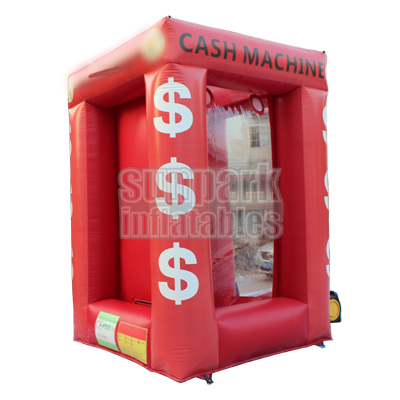 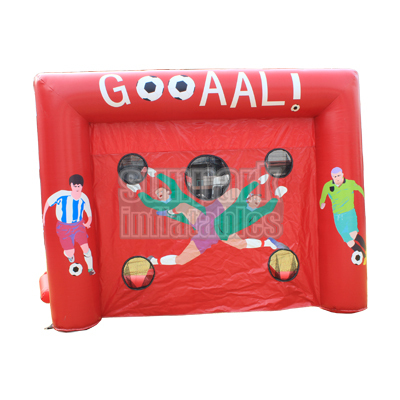 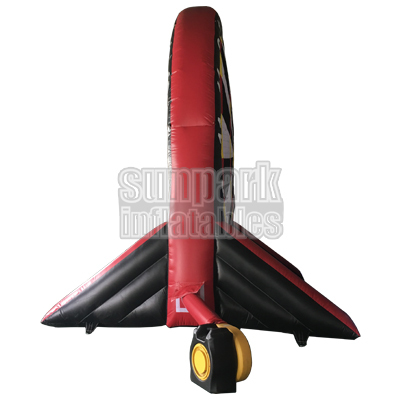 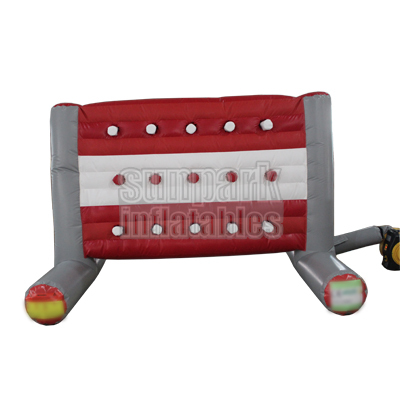 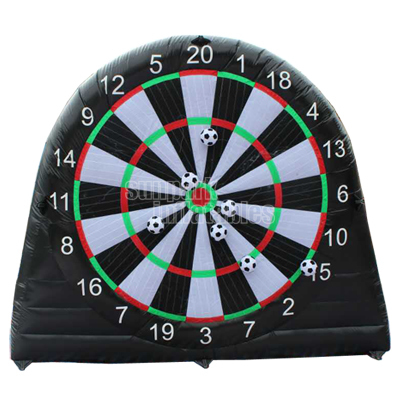 The Inflatable Kick Darts is brand new sport to go viral where football and darts are linked together. 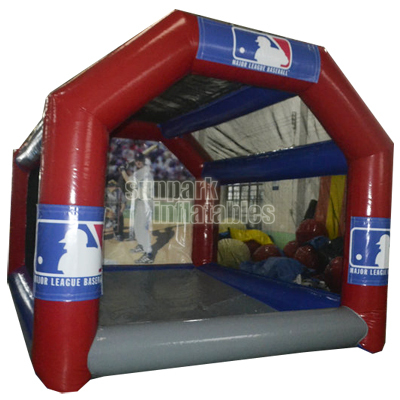 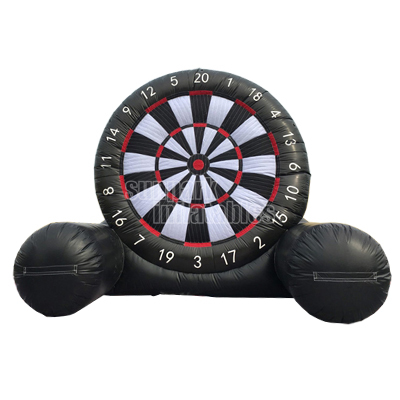 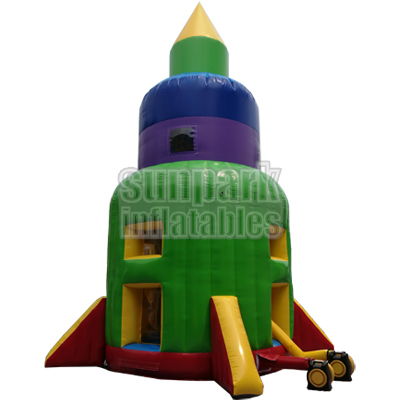 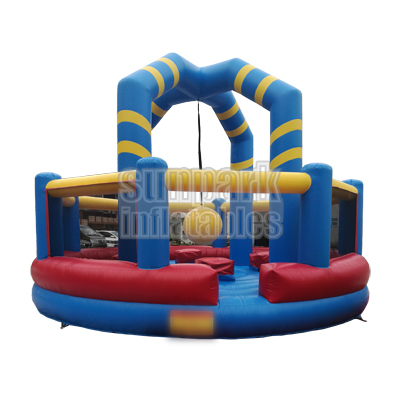 The air-inflated dartboard is covered with Velcro; players will then aim the softballs at the board. 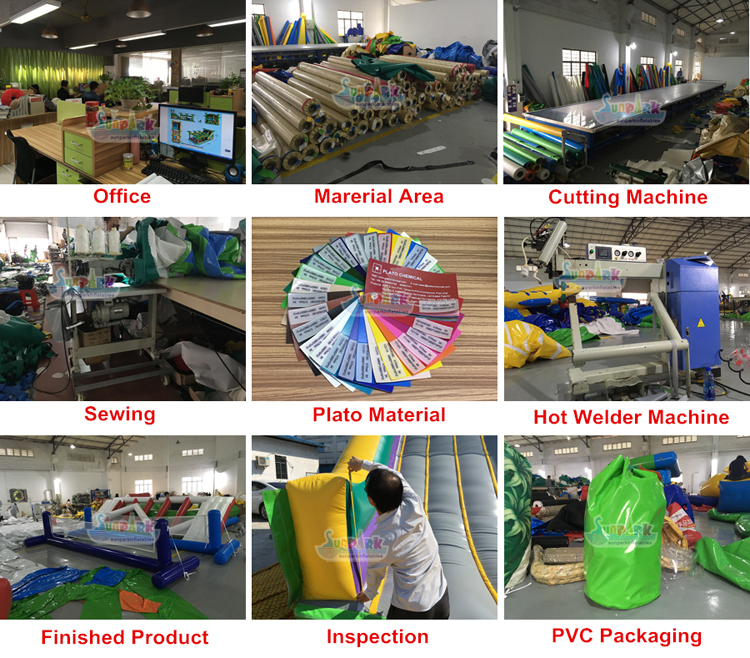 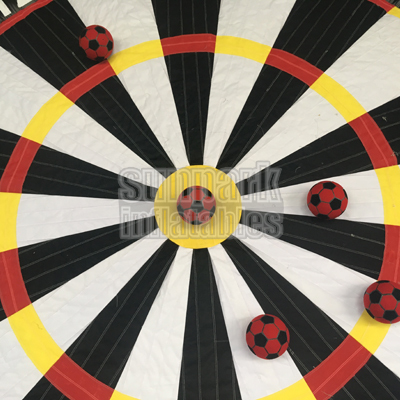 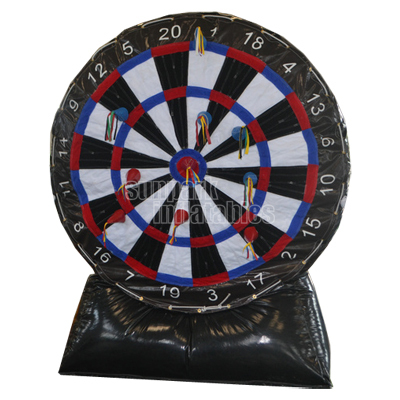 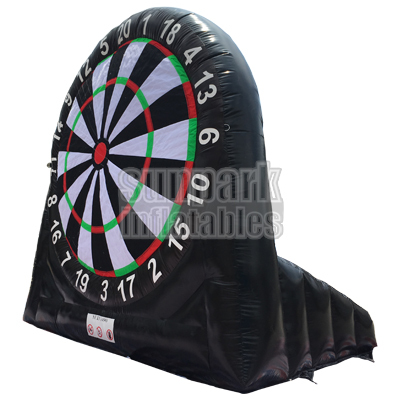 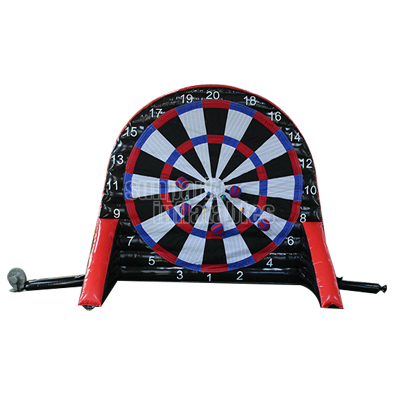 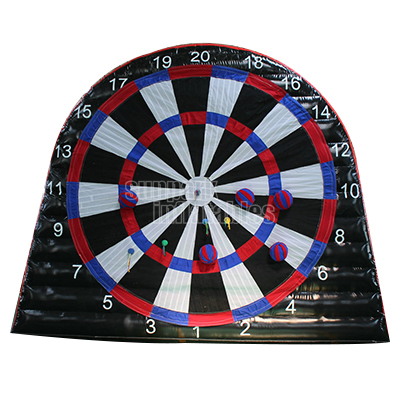 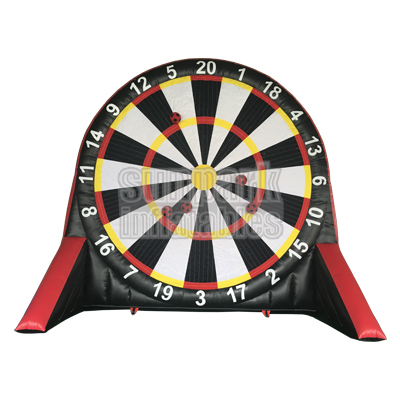 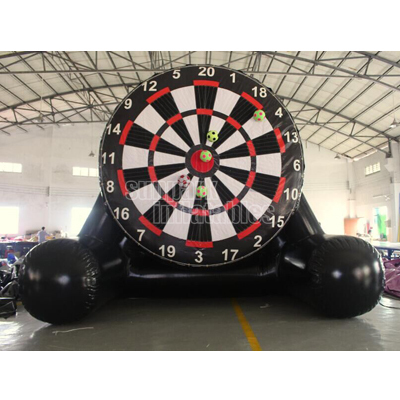 The giant inflatable dart board scoring system is identical to traditional darts.